“I’m hosting a trip to Wait A Little in May. 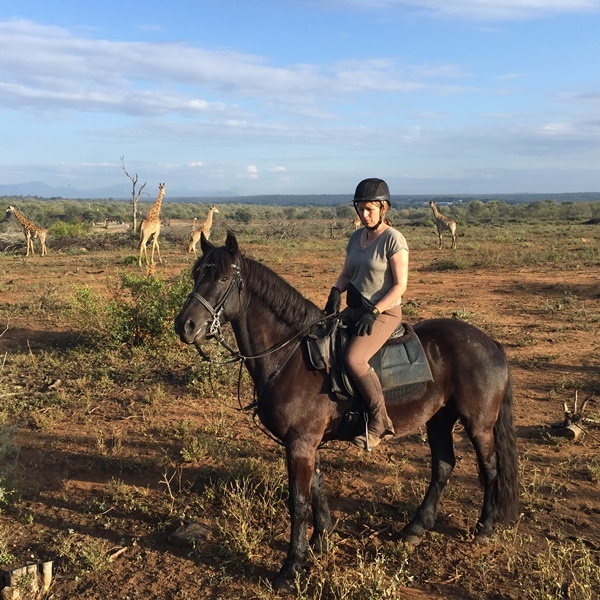 Join us if you’d like.” This was my answer to anyone wanting to ride in Africa, who was struggling to find riding pals to go away with. 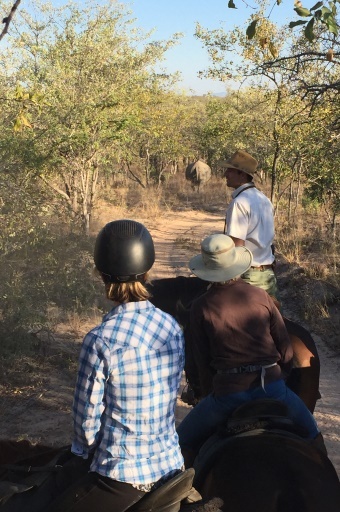 Wait A Little is on the edge of the Kruger National Park in South Africa in May and offers excellent riding and very good wildlife. 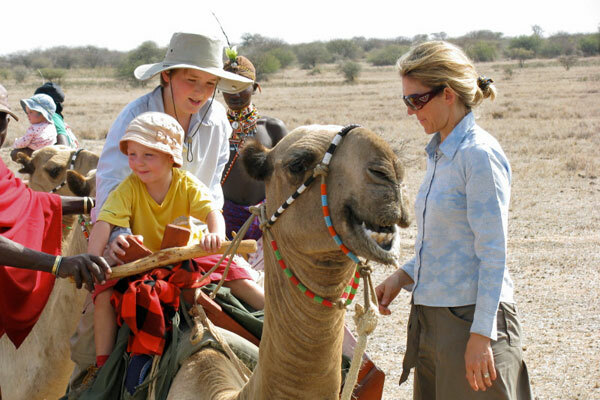 The area offers the chance to enjoy seven days’ riding among the safari Big 5 of lion, elephant, buffalo, leopard and rhino as well. 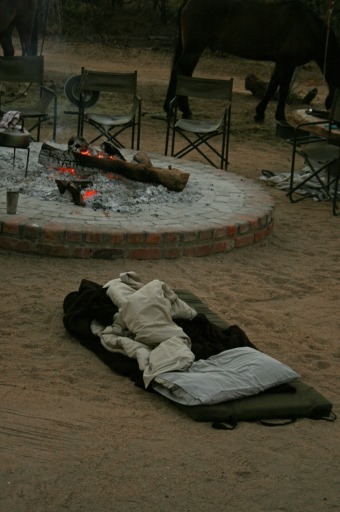 Accommodation is a combination of luxurious tents, chalets and simple camping. 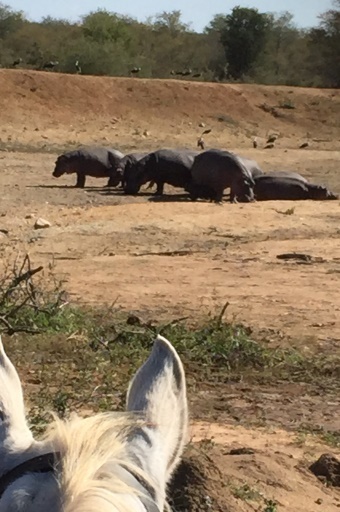 Will we get lucky with all Big 5 sightings on our week’s riding safari? 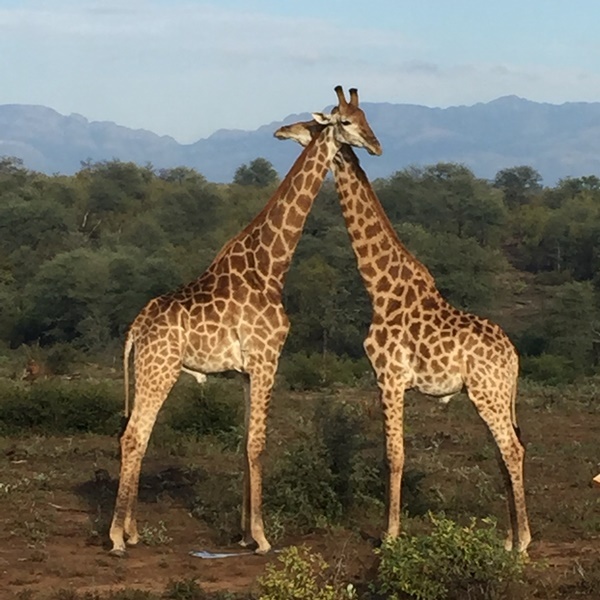 We were based between three camps in over 35,000 hectares of prime African bushveld in a private concession, riding twice a day across the stunning savannah alongside giraffe and antelope as well as stalking lion. 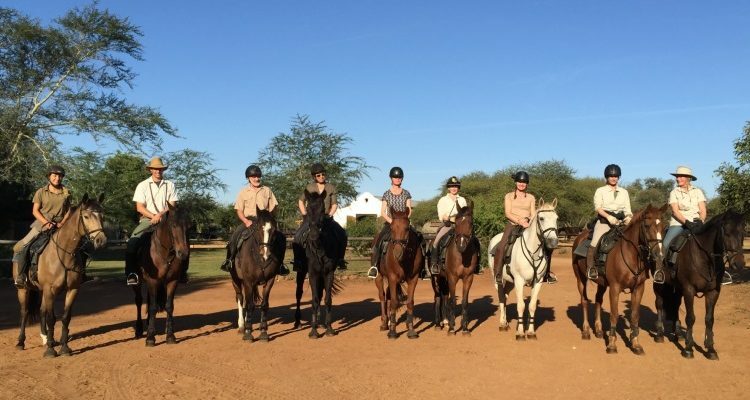 Wait a Little has over 40 horses ranging from 14.3hh to 17hh and a mixture of South African Boerperds, thoroughbreds and crosses, warmbloods and Arabs. 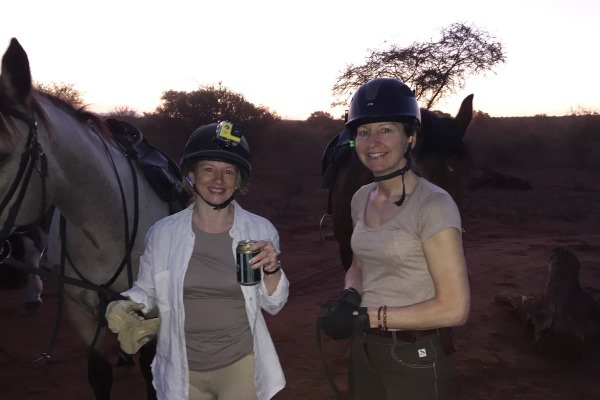 Over the course of the week we rode between two or three horses each. 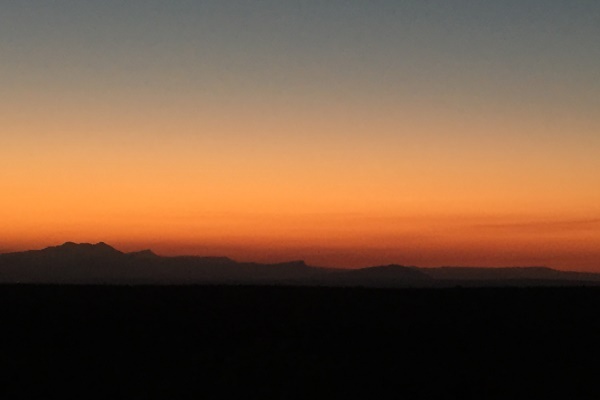 The reserves have various ecosystems ranging from open plains and woodlands to hills and kopjes. 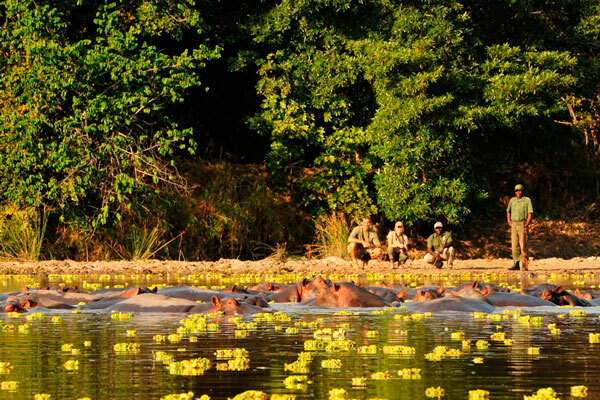 There are lots of rivers which are the lifeline of the region and support an impressive population of big trees, plants and wildlife such as hippo, crocodile, bushbuck, kudu, nyala, waterbuck and many different species of bird. 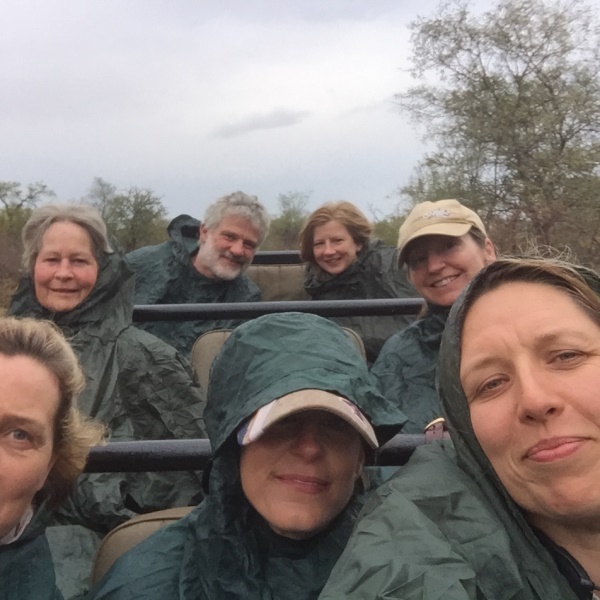 There was plenty of wildlife to be seen every day on the trip. 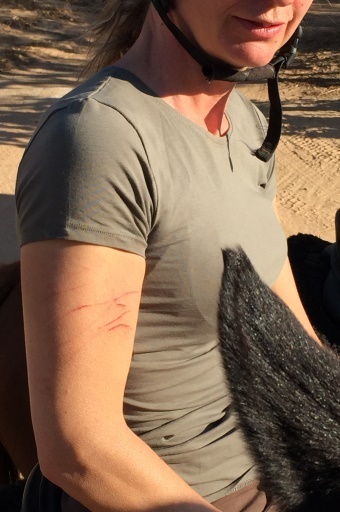 Although it was beautiful T-shirt weather, long sleeved tops are recommended as riding through thorny undergrowth can be painful. Long sleeves also protect you from sunburn. 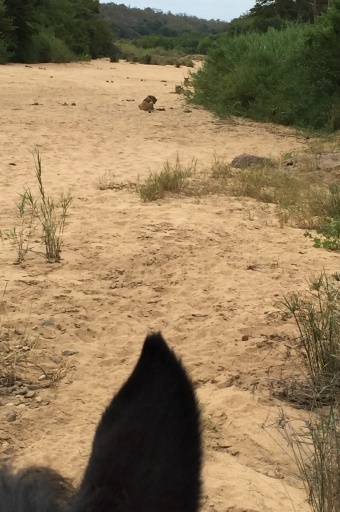 One day we had a group of optimistic lions stalking us for about twenty minutes which got all our adrenaline pumping. Philip was a very good guide, and we felt safe under his guidance. 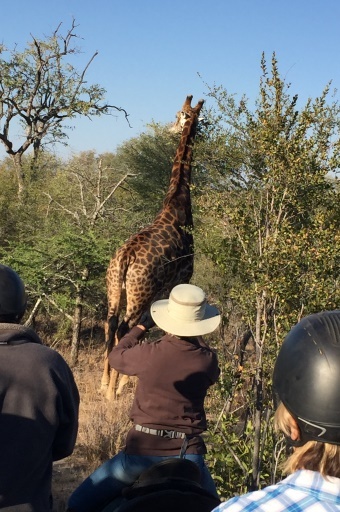 The wildlife here is very relaxed around the horses allowing us to get remarkably close, more than you would in a noisy game vehicle. 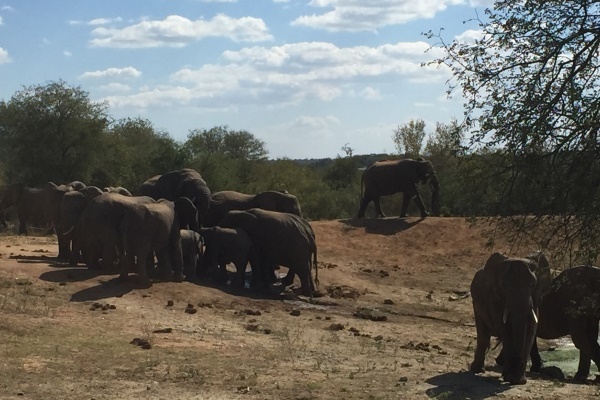 This shows how relaxed the elephants were with the horses. 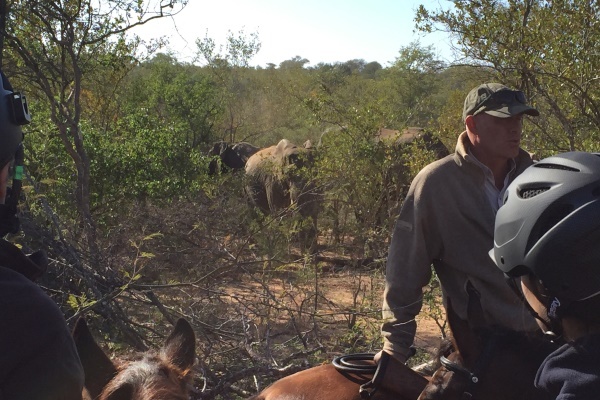 Philip, our guide throughout was extremely knowledgeable of the terrain and wildlife. 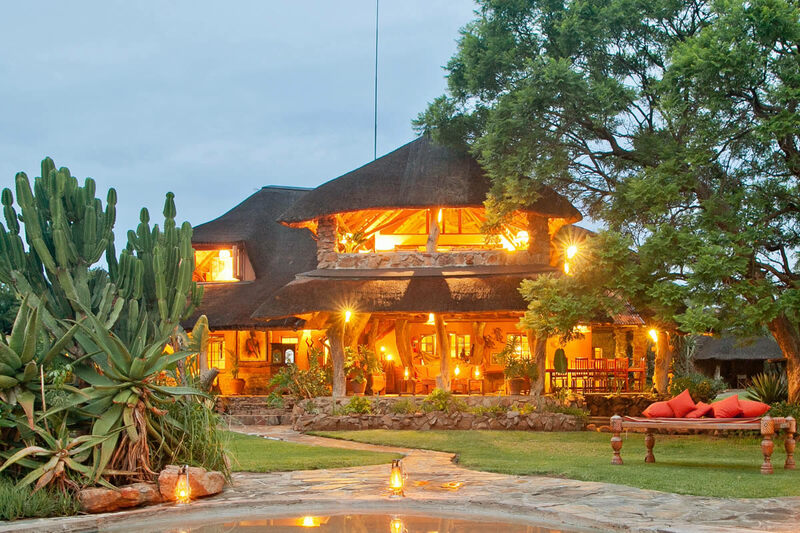 The lodge was very luxurious, with secluded double bedded canvas safari tents on platforms, built and furnished in African safari style, all with ensuite outdoor bathroom. 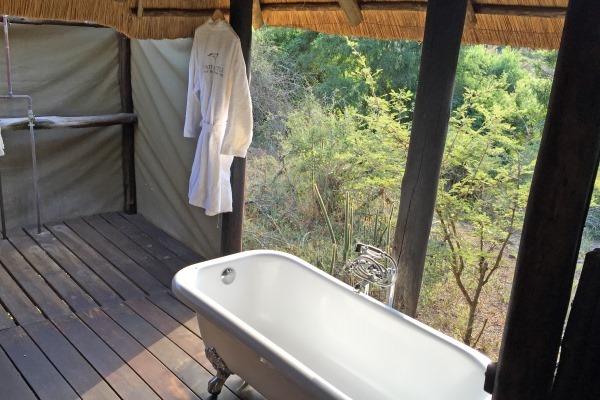 From the decks we enjoyed views over the Makhutswe River and herds of elephants from the shower. From my private bath, it was a perfect birding platform for all those post ride long siestas. 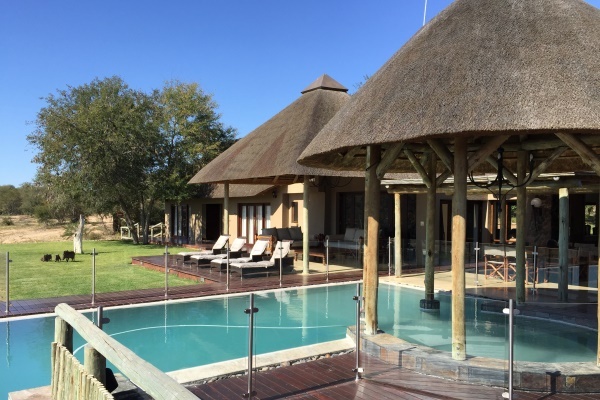 While in the Kruger Alice stayed at Dulini Lodge and Lion Sands River Lodge – two fantastic properties in prime wildlife areas. 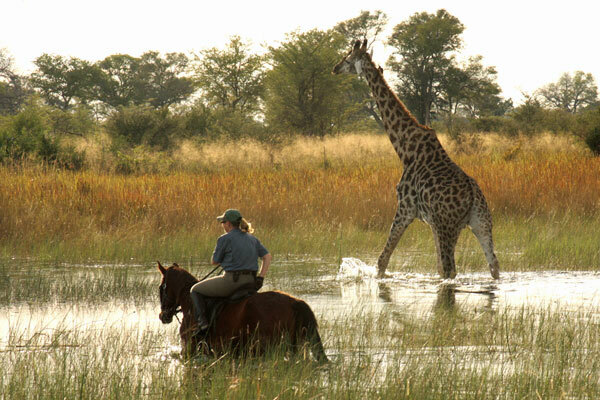 Any questions on horse riding safaris?